The week of Thanksgiving has arrived, ushering in the most stressful and emotionally complex season celebrated in the Western world. Already, my patient load has risen! None of us reaches adulthood without carrying baggage from childhood. And disappointments and losses continue to accumulate over the years. It is inevitable—we cannot live and love in this world without experiencing pain. And although we would so love to be able to neatly compartmentalize the different seasons and stages of our lives, it is not possible. The truth is, no matter how circuitous our life’s path, our lives are lived on a continuum. Every joyful memory remains to be triggered by something in our present. And it is the same with every loss. Even wounds we think have healed nicely can be ripped open without warning during the holidays. Navigating the next couple months can be particularly challenging for those who have fresh wounds. And for those who are lonely, isolated, in troubled relationships, or have extremely dysfunctional families, even the anticipation of the holidays can be stressful. It may take the patience of a Saint to get through the holidays emotionally unscathed, but for those of us who are merely human, a gratitude practice can help. I know, because I practice gratitude. I will forever be a novice, because it is not always easy. Especially when times are extremely hard or there is no sense whatsoever to be made of a loss or tragic event. That’s why it is called a practice—because, like learning another language, or a musical instrument, or yoga, it must be consciously done on a regular basis to become part of our lives in a meaningful way. Mindful gratitude is all about intentionally creating and recognizing incidents for which we are thankful as they occur—not only upon reflection. By being present in the moment, we learn to be grateful in the moment. And our gratitude brings more grateful-worthy moments into our lives. I first began my practice using a gratitude journal, and this is what I suggest for everyone in the beginning. Your journal doesn’t have to be fancy, just a tiny spiral notebook will do. At the end of every day, I jotted down at least three things I was grateful for. And I committed to doing it daily for at least three weeks—the minimum time required to create a new habit. Some days, I could easily fill a page, other days I found myself grasping to note anything at all. On the hardest of days, I learned to be kind to myself. Sometimes I repeated simple things—water on demand, food, a warm bed. The beauty of noting these seemingly “trivial” gifts is that in doing so, we recognize and express gratitude for fundamental necessities of life that are not easily accessible for most of the world’s population. Wow! During the next stage I began intentionally watching for things for which to be grateful—a convenient parking space on a rainy day, a short line in the grocery store, finding the glove I thought I’d lost. Being intentional transforms a fleeting relief into a recognizable feeling of gratitude. Uttering a “thank you” into the universe cements the experience, and can’t hurt! Moving into the next phase, I added the creation of grateful moments. I now open my eyes in the morning and whisper “thank you” because I am alive—even when I wish I could sleep another three hours and it’s cold and my feet hurt the first few steps I take. Whenever I call a friend, I’m grateful to have someone to talk to and laugh with. I love smiling at a somber passing stranger and feel grateful when they smile back. For an experiment, I suggest saying “good morning” and asking harried Starbucks baristas how they are doing. Watch their faces light up, because no one ever asks! Then be grateful—you might have made their day. Just recently I have discovered another phase I’m calling extreme gratitude, because it takes much more thought and action to accomplish. It is more than just being grateful for a gift or wonderful experience. It is finding ways to be grateful for experiences we usually wish had never happened. In many previous posts, I have written about the value of perspective. Extreme gratitude takes perspective to another level. My next post will be on my own experiences of extreme gratitude—including suggestions on how to reach it. In the meantime, I’m on day twenty-four of a thirty-day challenge on Facebook—noting something for which I’m grateful with an accompanying photo. Posts have included my family, hubby, friends, and cats; parties, nights by the fireplace, and Zumba; nature and my home; gifts of flowers; SleepyTime tea in a treasured mug; and my loving, supportive, writing group. This Thanksgiving week, like the upcoming holiday season, already feels bittersweet. I look forward to the friends and family I’ll be sharing it with, while I’m acutely aware of those who will be missing. My heart is aching for a dear high school friend who lost her precious son last week, and for both my husband and daughter-in-law who have just lost long-time friends. Personally, I have much to be grateful for, but I have also had a wild ride of a year with many ups and many downs. Practicing both mindful and extreme gratitude allows me to be thankful for most of the events in my year, as well those in my entire crazy life. I am also grateful for all my readers! Happy Thanksgiving to each and every one of you. 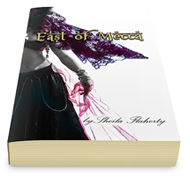 To show my gratitude to the world, I’ve decided to reduce the price of East of Mecca to $4.99 Kindle / $12.00 for the paperback book. Remember, when you purchase the book or Kindle version, 20% of all profits are donated to the YWCA Battered Women’s Shelter. Visit Amazon.com to purchase my book now. As always, Sheila, your posts touch on those things we all face and encourages us to face them head on. 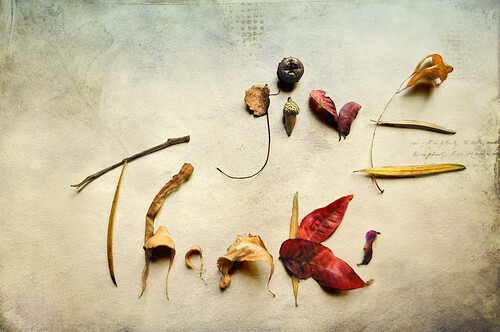 Even our worst day holds blessings….just must remember to identify them. I am grateful for you sweet friend!